This corner pub was originally located in a former royal hunting lodge in what became The Regent’s Park. It was one of several inns which were in the park which were demolished when it was created. 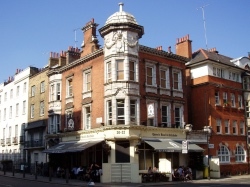 But unlike others, The Queen’s Head and Artichoke was rebuilt on its current site at 30-32 Albany Street in 1811. The existing building apparently dates from around 1900. The licence for the pub is said to date back to the time of Queen Elizabeth I. 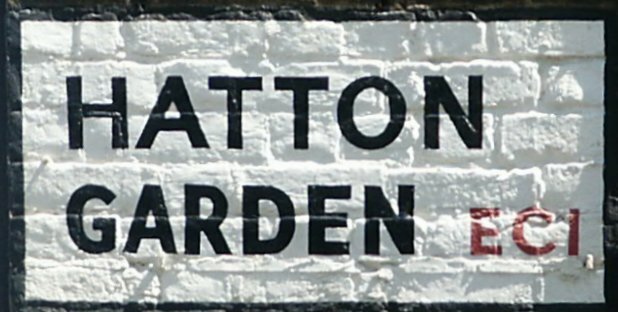 The story goes that the establishment received its rather odd name thanks to Daniel Clarke, head gardener and master cook to the Queen and her successor, King James I – and, later, the pub’s proprietor. Where’s London’s oldest…statue of a female? News recently that Parliament Square has its first female statue (more about that in an upcoming post) so we thought it timely to consider London’s oldest statue of a female. 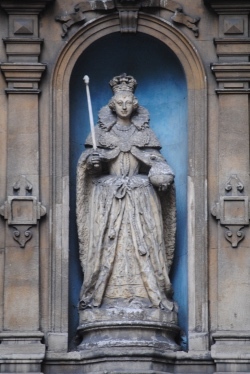 It’s actually of a queen – Elizabeth I – and can be found on the facade of the Church of St Dunstan-in-the-West on Fleet Street in the City of London (also home to a rather famous clock). Believed to have been made in 1586, the statue is said to be the work of one William Kerwin and originally adorned Ludgate. It was moved to its current position over the church’s vestry door in 1760 when Ludgate was demolished due to road widening. Along with other statues from the gate, it had been given to Sir Francis Gosling who had it placed at the church. The statue features a rather regal looking Queen, standing formally in royal robes with sceptre and orb. 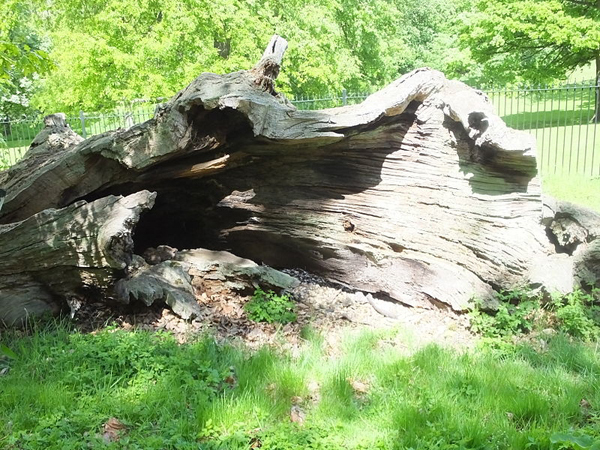 Only the remains of this once mighty tree can now be seen in Greenwich Park. Thought to have been planted in the 12th century, the tree died in the late 1800s but, thanks to the support of the ivy that clung to it, remained standing until it finally collapsed in June, 1991. The tree, located to the east of the Royal Observatory, has several links to the Tudors – tradition says King Henry VIII danced around it with Anne Boleyn while their daughter, Queen Elizabeth I, is said to have picnicked beneath its leafy canopy. The proximity of Greenwich Palace may explain the connection. There was apparently in Victorian times, a large seat placed around the tree and there has been a suggestion that the hollow truck was big enough to make a small prison where people who misbehaved in the park were locked up. Planted alongside is another English Oak – it was officially dug into the soil on 3rd December, 1992, by Prince Philip, the Duke of Edinburgh, to mark 40 years of the reign of Queen Elizabeth II. The subject of a current exhibition at the Royal College of Physicians, Dr John Dee – mathematician, courtier, astrologist and ‘magician’ are just some of the tags he is labelled with – is one of the most enigmatic figures of Tudor England. Born in London’s Tower ward in 1527, Dee was of Welsh descent and the son of Roland Dee, a mercer and courtier to King Henry VIII, and Johanna Wild. He attended school in Chelmsford and, at the age of 15 entered St John’s College, Cambridge, awarded a Bachelor of Arts in 1545 and a master’s degree in 1548. He was also a founding fellow of Trinity College when it was founded in 1546. Dee travelled through Europe during the late 1540s and early 1550s, studying and lecturing at places including Louvain, Paris and Brussels. It was during this trip that he met mathematicians and cartographers like Gemma Frisius and Gerardus Mercator. Back in England, Dee was appointed rector at Upton-upon-Severn (apparently on the recommendation of King Edward VI), and in 1555 was made a member of the Worshipful Company of Mercers. He had, meanwhile, turned down offers of professorships at both the Sorbonne in Paris and the University of Oxford, ostensibly because he had hopes of obtaining an official position at court. It was perhaps in pursuit of this that he subsequently appeared at England’s Royal Court where he took on the role of teacher of the mathematical sciences while also serving as an astrologer to Queen Mary I and courtiers. The latter role led to Dee’s arrest and imprisonment in 1555 on charges of being a ‘magus’ (magician) – he would go on to appear for questioning in the infamous Star Chamber – but he was eventually cleared of all charges. 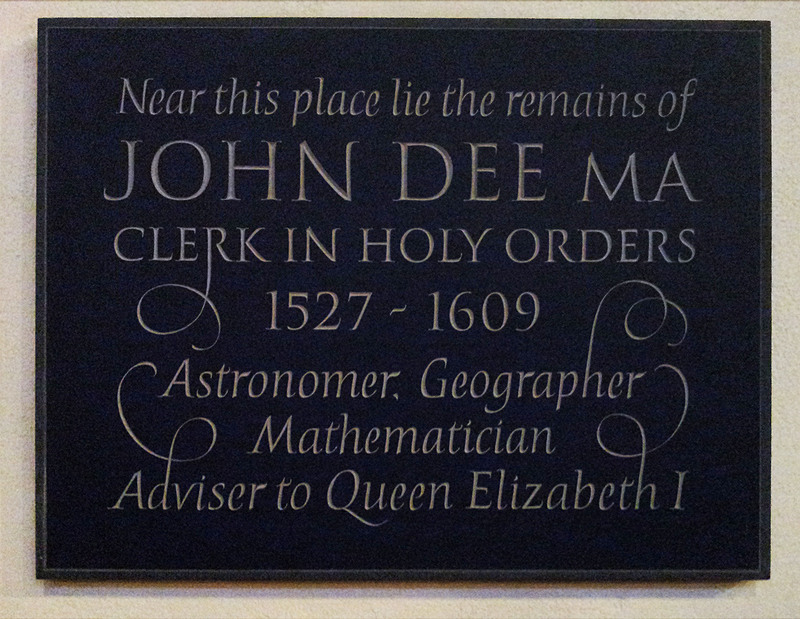 In 1558, Dee became a scientific and medical advisor to Queen Elizabeth I and, by the mid-1560s, had established himself in the village of Mortlake (now in the south-west of Greater London) where he built a laboratory and gathered together what was the largest private library in the country at the time, said to have consisted of more than 4,000 books and manuscripts (and the subject of the current exhibition). Dee was also associated with several English voyages of exploration for which he provided maps and navigational instruments, most famously Sir Martin Frobisher’s expedition to Canada in 1576-78. He is also known for his strong views on natural philosophy and astrology and the occult, which included the idea that mathematics had a special, supernatural power to reveal divine mysteries. Some of his occult-related ideas were explored in his 1564 text Monas hieroglyphics – one of numerous works he authored – but his most influential work is said to have been a preface he wrote to an English translation of Euclid’s Elements published in 1570 in which he argued for the central role of mathematics. 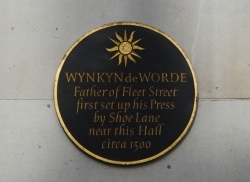 Dee is said to have married three times – the first in the mid-1560s and, following the deaths of his previous two wives, the last time in 1578 when he was wedded to Jane Fromond, who was less than half his age and who had been a lady-in-waiting to the Countess of Lincoln. She bore him some eight children (although there are questions over the paternity of at least one) and died in 1604 of the plaque. By the 1580s, having failed to win the influence he hoped to have at court and wanting to further his explorations into the supernatural (in particular, communication with ‘angels’ through occult practice of crystal-gazing), he travelled to Europe with a convicted counterfeiter and medium Edward Kelley to Europe. Returning to England, after much lobbying, Queen Elizabeth I appointed him warden of Manchester College in 1596, but despite this, he returned to London in 1605 where his final years were marked by poverty. He is believed to have died in March, 1609, at the London home of a friend and was apparently buried in Mortlake (pictured, above, is a memorial plaque at St Mary the Virgin in Mortlake). 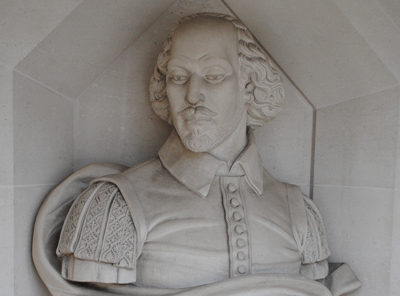 It’s believed that William Shakespeare modelled the figure of Prospero in the 1611 play The Tempest on Dee (it’s also claimed that he was the model for Marlowe’s Doctor Faustus). Scholar, courtier, magician: the lost library of John Dee runs at the Royal College of Physicians at 11 St Andrews Place, Regent’s Park, until 29th July. Entry is free (check website for opening hours). For more, see www.rcplondon.ac.uk. It was in February, 1616 – 400 years ago this year – that the adventurer and courtier Sir Walter Raleigh (Ralegh) was released from the Tower of London where he had spent the last 13 years of his life. Sadly, his freedom was to be short-lived. Raleigh had been imprisoned in 1603 by King James I – not his biggest fan – after being accused of plotting against the king and subsequently sentenced to death for treason (a sentence which was then commuted to life imprisonment). The Tower, where he’d been imprisoned a couple of times before – most notably by Queen Elizabeth I for secretly marrying Bessy Throckmorton, one of her maids-of-honour, was to be his home for the next 13 years. 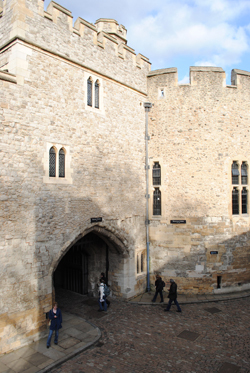 It was in Bloody Tower (in left of picture) that his rather luxurious ‘cell’ was located. 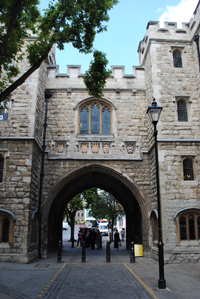 Originally known as the Garden Tower, it was renamed for the tradition that the two ‘Princes in the Tower’, King Edward V and his brother Richard, had been murdered here in 1483. The tower’s top floor was added specifically to provide more room for his family in 1605-06 (and Raleigh’s son Carew was conceived and born while he was imprisoned here). It was also during this time of imprisonment that he wrote his History of the World (published in 1614). Raleigh was released in 1616 to lead an expedition to the New World – he’d previously been on a couple of expeditions there including one with his half-brother Sir Humphrey Gilbert aimed at finding the Northwest Passage (but which deteriorated into privateering and led to his brief imprisonment following his return to England), and one aimed at finding the legendary ‘golden land’ of El Dorado (which he failed to do). It was again with the purpose of finding gold that he now returned to the Orinoco River region of South America. Failure, however, was once more the outcome, and on Raleigh’s return to England, the death sentence issued on 1603 was reimposed (for his failure but also for attacking the Spanish in defiance of the king’s instructions to specifically not do so, although the blame was not all his). 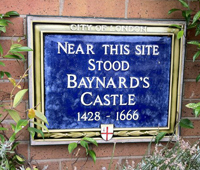 He would be executed in Old Palace Yard at Westminster on 29th October, 1618. 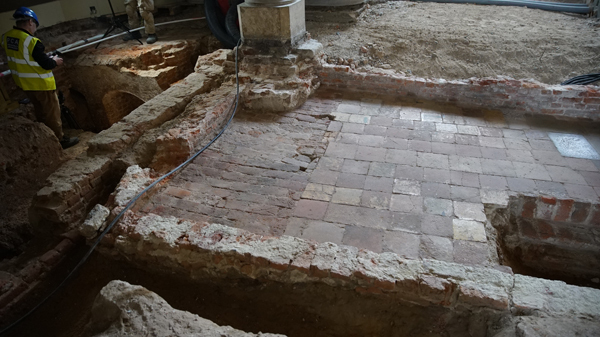 Archaeologists have uncovered the remains of one of five highly ornate towers, luxurious banqueting houses from which the court would view tournaments in King Henry VIII’s walled tiltyard at Hampton Court Palace. Built in the 1530s, the multi-storey towers were largely demolished by the 1680s and, with the exception of one of the towers which still stands at the palace (and is now a Grade I listed building), their precise location eventually lost. Until now, that is. 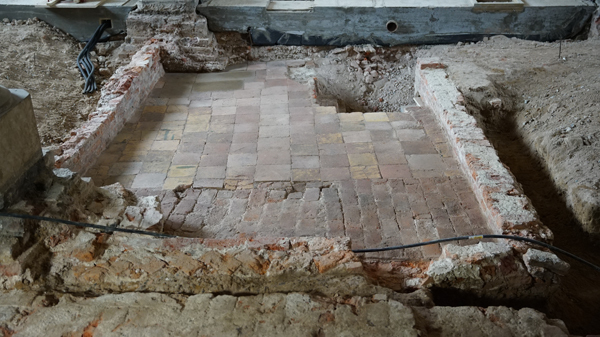 The green-glazed tiled floor of one of the ‘lost’ towers were unearthed earlier this month during works taking place as the tiltyard undergoes a family-oriented makeover by award-winning landscape architect, Robert Myers (to be known as ‘The Magic Garden’, it will be unveiled next Easter). The richly decorated towers – where the king entertained dignitaries and ambassadors – are thought to slightly predate the tiltyard which was apparently laid out in 1537 – perhaps, it’s been suggested, to mark the birth of King Henry VIII’s son, the future King Edward VI. 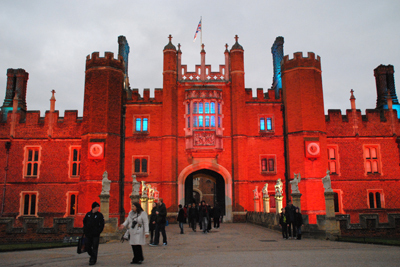 The first recorded tournament at Hampton Court took place in 1557 when Queen Mary I held one to celebrate Christmas. Her sister Queen Elizabeth I continued the tradition by occasionally holding tournaments there but most days the tiltyard was used to train the young men of the court in warfare. When tournaments gradually fell out of fashion, the towers were used as multi-purpose storage facilities housing, according to Historic Royal Palaces, everything from pigeons to two Catholic priests in service to King Charles I’s queen, Henrietta Maria, who were spent time ‘quarantined’ there after an outbreak of plague. For more on Hampton Court Palace, see www.hrp.org.uk/hampton-court-palace/. 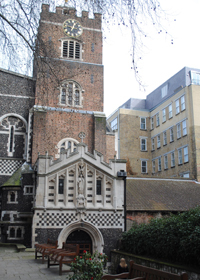 St Bartholomew the Great in Smithfield – the oldest parish church in London (see our earlier piece here) – is worth a revisit thanks to the fact that it would have been standing (at least partially) when the seal of King John was first affixed to the Magna Carta . Only half the size it once was, this church was founded in 1123 AD as the priory church for a community of Augustinian Canons and owes its origins to Rahere, a favored courtier of King Henry I who renounced his way of life and made a pilgrimage to Rome, returning to found both the church and nearby hospital for the poor. Only the eastern part of the church was built by the time of the death of Rahere – the first prior – in 1145 and the building continued for some years afterward. While the interior walls now look somewhat plain, they would have been highly decorated when the building was originally constructed. At the time of the Magna Carta, the church would have only been partly completed. The tomb of Rahere still lies within the church, on the left hand side of the altar – although the canopy over it dates from the 15th century. There were some healing miracles recorded at the tomb. The church’s current configuration came about when the priory was dissolved in 1539 and the nave of the church was pulled down, leaving what’s there now – the quire, altar and lady chapel. The brick tower at the church’s west end dates from the 1620s while the gateway through which you enter the church grounds features a restored 13th century arch topped by a late Tudor building. The church was briefly used by some Dominican friars but since the reign of Queen Elizabeth I has fulfilled the role of parish church. A concerted restoration effort began in the mid-19th century by Sir Aston Webb (architect of the Victoria & Albert Museum), leaving the Lady Chapel with a very different feel to the Norman choir. The building is now Grade I-listed. 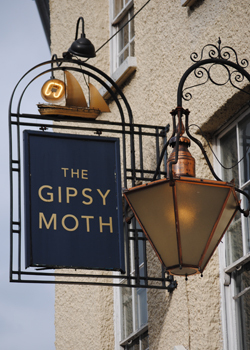 The boat on this iconic Greenwich pub’s sign probably gives the game away here – the Gipsy Moth is named after a yacht of the same name. The Gipsy Moth IV was sailed single-handedly around the globe by Sir Francis Chichester, then aged in his 60s, in 1966-67, who broke numerous records as he did so including the fastest voyage around the world by any small vessel, the longest non-stop passage by a small vessel and what was then the longest single-handed passage. Following the death of Sir Francis on 26th August, 1972 (he had been knighted by Queen Elizabeth II on the steps of the Old Royal Naval College using the same sword that had knighted Sir Francis Drake in the presence of Queen Elizabeth I in 1581), the boat was put on display in a Greenwich dry dock next to the Cutty Sark. Initially open to the public, it was later closed due to deterioration. Following a restoration in the early Noughties, in 2006 the Gipsy Moth IV was again sailed around the world (on a trip that wasn’t always smooth sailing) to mark the 40th anniversary of Sir Francis’ journey. It is now owned by a charitable trust based in Cowes on the Isle of Wight. 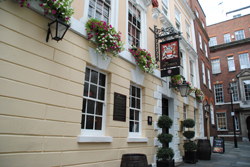 The renovated pub, located at 60 Greenwich Church Street next to the Cutty Sark, is situated in a building which dates from the late 18th century. It apparently changed its name from the Wheatsheaf in the mid-1970s apparently to mark the arrival of the Gipsy Moth IV. The pub features a beer garden with views of the Cutty Sark. For more information, see www.thegipsymothgreenwich.co.uk. • The 13th century’s finest surviving copy of the Magna Carta is taking centre stage at the new City of London Heritage Gallery which opens to the public this Friday. 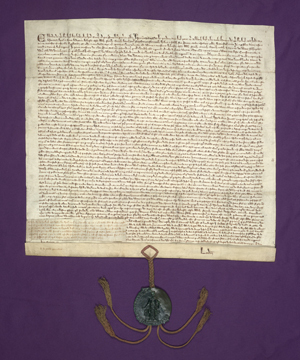 The 1297 document, which bears a superimposed memo reading ‘make it happen’, is being featured as part of the Corporation’s efforts to mark next year’s 800th anniversary of the signing of the landmark document. Other items on display in the new permanent, purpose-built exhibition space at the Guildhall Art Gallery include the medieval Cartae Antiquae, a volume containing transcripts of charters and statues covering laws enacted between 1327 and 1425 – a period which includes the reign of King Richard III, a poster for a World War I recruitment meeting held at the Guildhall in 1914, and a series of paintings depicting the 25 City Aldermen who were in office in the mid-1400s. 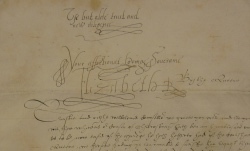 The gallery, admission to which is free, will in future feature a rotating selection of rare documents from the City of London Corporation’s archives including the purchase deed William Shakespeare signed on buying a home in Blackfriars in 1613. For more, including opening times, see www.cityoflondon.gov.uk/heritagegallery. For more on events to mark the 800th anniversary of the signing of the Magna Carta next year, see www.magnacarta800th.com. PICTURE: Copyright London Metropolitan Archives. 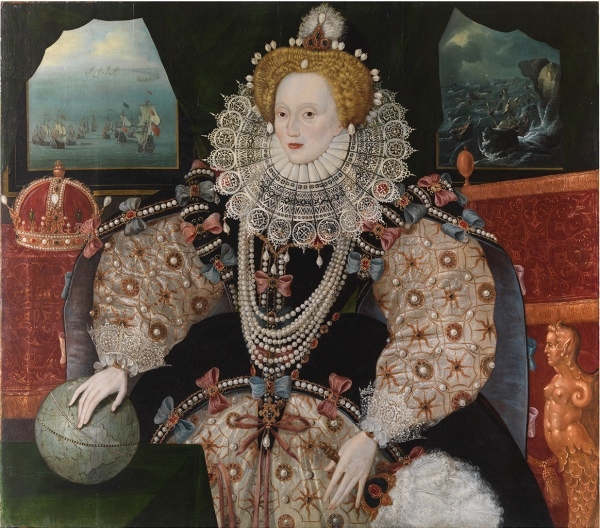 • Rare depictions of Tudor monarchs will be seen at the National Portrait Gallery in the most complete presentation of their portraiture to date. The Real Tudors: Kings and Queens Rediscovered features the gallery’s oldest portrait – that of King Henry VII – displayed alongside a Book of Hours inscribed by the king to his daughter, six portraits of King Henry VIII along with his rosary (on loan from Chatsworth), portraits of King Edward VI and a page from his diary in which he relates his father’s death, five portraits of Queen Mary I along with her prayer book (on loan from Westminster Cathedral) and several portraits of Queen Elizabeth I displayed alongside her locket ring (on loan from Chequers, the country residence of the PM). There will also be a discussion surrounding the search for a “real” portrait of the ‘nine days queen’, Lady Jane Grey, alongside a portrait of her that dates from the Elizabethan period. With many of the portraits newly examined as part of the gallery’s ‘Making Art in Tudor Britain’ project, visitors to the gallery will also be able to access a specially created app which allowing them to access the new research while looking at the portraits. The display, which will form the core of a larger exhibition in Paris next year, can be seen until 1st March. Admission to the gallery, off Trafalgar Square, is free. For more, see www.npg.org.uk. • An exhibition of rare maps from London, dating from between 1572 and last year, at gallery@oxo on South Bank, is closing on Sunday. Part of the Totally Thames festival, the Mapping London exhibition shows how the landscape along the River Thames as it passes through the capital has changed over the years. It features the first available map of London, which dates from 1572, as well as a 2013 map of underground London, monumental wall maps, and even a map of London that doubles as fan. The free exhibition at Oxo Tower Wharf is being curated by Daniel Crouch, one of the world’s leading map dealers. For more, see www.totallythames.org/events/info/mapping-london. • A Crafts Council touring exhibition showcasing the work of 12 contemporary artisans and design studios – each of which uses objects as a means of storytelling – has opened at Pitzhanger Manor House and Gallery in Ealing – its first stop – this week. Crafting Narrative: Storytelling through objects and making explores the potential of objects to reflect on history, culture, society and technology through a combination of new and commissioned works, film text and photography. Works include Hilda Hellström’s The Materiality of a Natural Disaster which consists of food vessels made of soil from a field belonging to the last resident inside the Japanese Daiichi nuclear plant exclusion zone, Onkar Kular and Noam Toran’s archive of objects belonging to the fictional Lövy-Singh clan – an East London family of mixed Jewish and Sikh descent, and Hefin Jones’ The Welsh Space Campaign which features objects such as astronaut boots in the form of traditional Welsh clogs in an attempt to show how Wales has the capacity to explore space. The free exhibition is at the manor until 19th October. For more, see www.pitzhanger.org.uk. 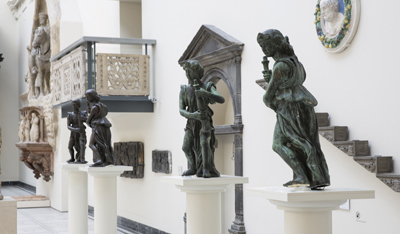 Four bronze angels, designed for the tomb of Cardinal Thomas Wolsey, have been temporarily reunited in the V&A’s Medieval & Renaissance galleries as the museum looks for funding to acquire them. Once thought lost, the Wolsey Angels were commissioned in 1524 from Florentine sculptor Benedetto de Rovezzano for the tomb of Wolsey, chief advisor to King Henry VIII and one of the most powerful men in the kingdom. Each of the angels, which measure around a metre in height, was created between 1524 and 1529 – the period in which Wolsey was trying to have the pope annul Henry VIII’s marriage to Catherine of Aragon. As is well-known, Wolsey failed to do so and died in 1530 in disgrace. Henry appropriated Wolsey’s assets including the tomb which the king apparently intended to use for himself. The work was slow, however, and when Henry died in 1547, it remained unfinished. His children – King Edward VI, Queen Mary I and Queen Elizabeth I – each said they would complete the tomb as a memorial to their father but didn’t and in 1565, Elizabeth moved parts of the tomb to Windsor. During the English Civil War elements of the tomb were sold off to raise funds and only the black stone chest – now used to house the remains of Admiral Lord Nelson in the St Paul’s Cathedral crypt – were believed to have survived along with four large gilt-bronze candlesticks which were installed at St Bavo Cathedral in Ghent. The angels passed out of sight until, in 1994, two of them appeared in a Sotheby’s sale. Acquired by a Parisian art dealer, they were later attributed to Benedetto. 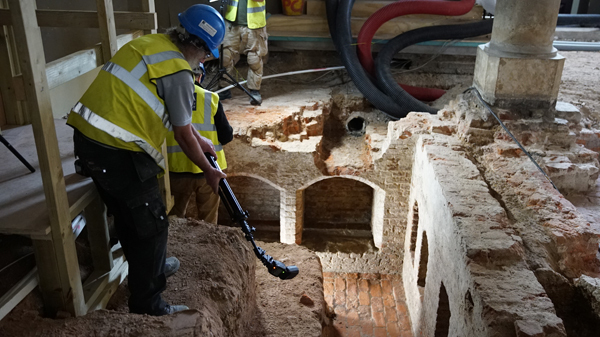 The remaining two angels were discovered at Harrowden Hall in Northamptonshire in 2008 – the hall is now owned by the Wellingborough Golf Club – and it was subsequently revealed that the other two had been stolen from the same site 20 years previously. The V&A has embarked on a campaign – backed by Hilary Mantel, the Booker Prize winning author of Wolf Hall – to acquire the four angels, priced at £5 million. It has already been granted £2 from the National Heritage Memorial Fund and the Art Fund has pledged a further £500,000. Donations can be made via the V&A’s website at www.vam.ac.uk/wolseyangels.